The English Eight Club and Irish Rifle Club held their autumn meeting over the weekend 28/29 September. A high pressure over Norway resulted in pleasant conditions with only a brief spot or two of rain on Saturday and thin high cloud giving warm sunny conditions. The wind was fresh from the east all weekend requiring a handful or more of minutes of right hand wind depending on whether one was in the immediate shelter of the trees alongside target 50. As is often the case in the autumn, the wind appeared quite steady for those who could hold tight groups. Seven Scots and the entire "other Euro" membership (hint: there are three!) of the NRCofS competed. Saturday turned into a Mike Baillie-Hamilton benefit day with him winning the first two ranges and the day with 223 ex 225 and a huge V count of 37. Only Bill Taylor and Nick Tremlett with 74s at 1,200x denied him a clean sweep of all three ranges. Overall Ashley Abrahams was just a point behind with others in hot pursuit. On Sunday Hugh Butcher had one of the 8 possibles at 1,000x followed by one of the 5 possibles at 1,100x to move into contention. A mere 70 at 1,200x though left him third on the day and fifth overall. Our senior citizen, Allan Campbell-Smith, shot very steadily for ninth overall. Meanwhile Mike was not giving much away - just a point at each of 1,100x and 1,200x - to ensure the overall win. Kate Fitton also had a super day and pipped Mike by a single V for the Sunday and to finish 2nd for the weekend. As always wardrobe malfunctions affected a few - Kate's partner and our vice President each had telescope mounts break. At least Mark had his early enough that he could fix it and retire for the winter on the back of two nice range shoots. A few regulars were not shooting as the meeting clashed with "Palma selection" - whatever minor event that might be. As usual thanks are due to the stats crew (three generations of Hisseys), chief organiser Bill Taylor and ROs Dougie Watt and John Killian for making things run smoothly. The quality of marking was high and much appreciated though as a footnote Mike's heart beat probably rose a few notches when his last shot was initially marked clear after a long inspection. However his challenge did unearth a downwind hole in the cooking bull line - phew! 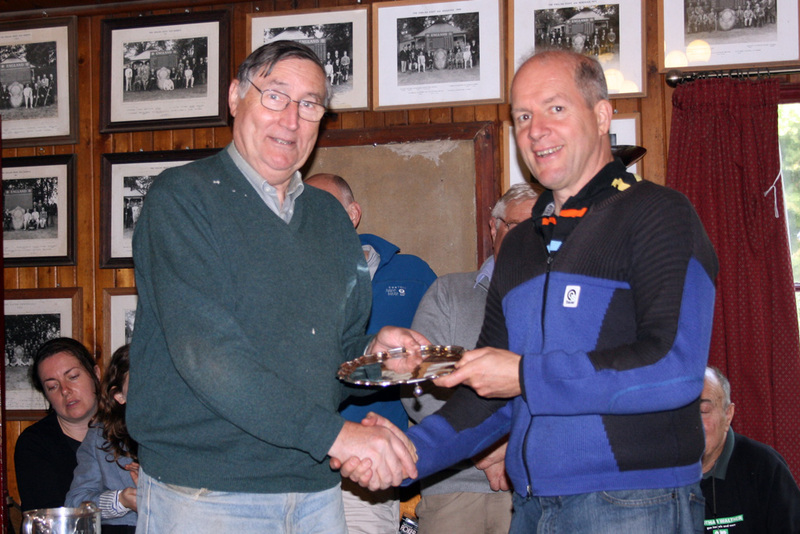 Mike Barlow wins 2013 Hopton Agg. On the Friday prior to the Bisley Spring Meeting 14 members attended a one day training session. Individual technique coaching for some of our newer members was followed by coached team shooting at 1,000x and 1,100x. Our regular three wind coaches were all hard worked but so too were several other members in the hope of broadening our wind coaching pool. The stiff 10 o'clock wind mostly required double digit wind corrections and made a surprisingly cold day for mid May feel even colder. 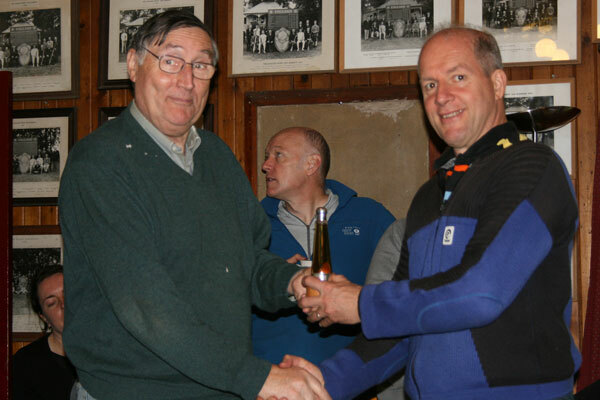 A light hearted "guess the wind" competition was held at intervals through the day with Mark Crichton Maitland being judged the winner of the bottle of wine with a perfect score - albeit of only three bulls. A most convivial pub dinner was consumed in the evening. Over the weekend 17 Scots competed in the Combined Clubs Spring Meeting. Conditions remained almost unchanged from Friday through both Saturday and Sunday. A short blast of rain on Saturday afternoon slightly spoilt what was otherwise an enjoyable and testing weekend. Scores were low with only a single possible achieved in wind which varied up to 20 minutes in strength for some shooters. Unfortunately it also has to be recorded that the standard of marking varied from fair to very poor with new NRA markers under training. On the Saturday Jim McAllister led the field from Martin Brown despite the latter having a difficult shoot with a tyro partner. On Sunday Mike Baillie-Hamilton, the Scots captain, led the Scots but was pipped by both Gareth James of Wales and Nick Tremlett the English captain. When the weekend scores were added up Gareth James was the overall top scorer and winner of the Welsh Rifle Association Aggregate. Jim McAllister was top Scot and winner of our magnificent Eight Cup ahead of Mike Baillie-Hamilton and Angus McLeod. Top Englishman was Nick Tremlett in fourth place. 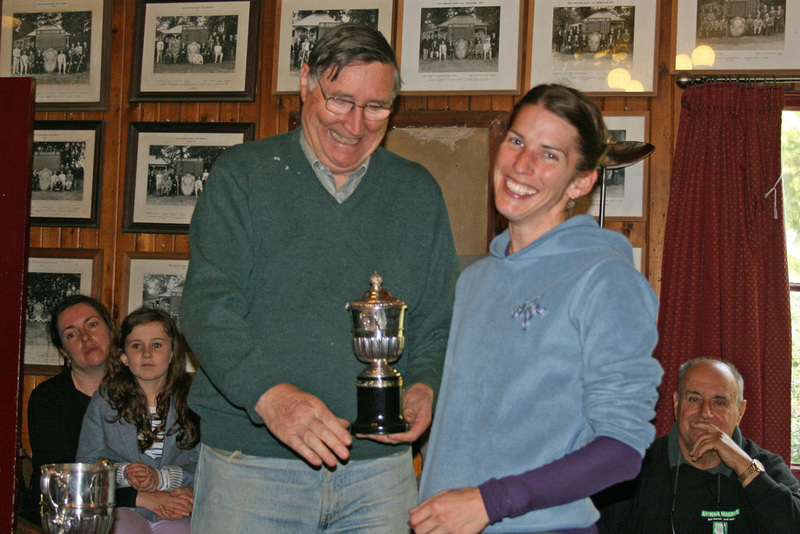 Jim also won our Ranken trophy, open to allcomers, for the 1,200x aggregate. As well as the top scorers, Colin Hayes and Hugh Butcher can be commended for their 71s at 1,200x on Sunday and Zoe Woodroffe was only a handful of points off being top lady. Our thanks go to the English VIII and in particular Hissey, father and son, for organising the meeting. Full results are available at English VIII web site. Angus's dog Bullet at Stickledown in winter. Trees disappearing fast! Need to adjust wind coaching notes!